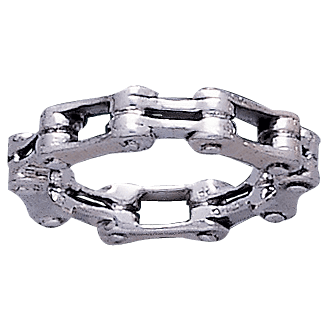 Whether you really enjoy industrial fashion or you love the biker aesthetic, this White Bronze Bike Chain Ring will offer a bold way to show off your taste. This chain ring shows off a series of links for a striking look. Gaps appear in the links, giving the piece a realistic look. This modern band works great as a personal accessory or gift for someone special. 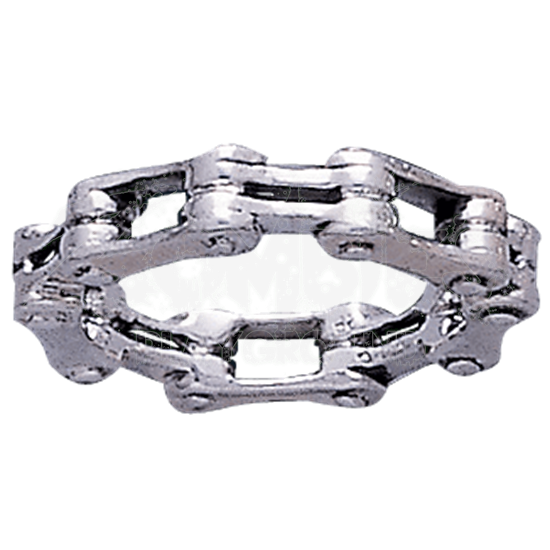 Made from white bronze, the bike chain fashion ring is plated with sterling silver that gives it a bright gleam. Perfect for men or women to wear, this industrial jewelry ring comes in US sizes 6 to 15.